Adams Professional Tree Services is a small, independent tree surgery firm based in West London. We pride ourselves on providing precision, quality tree pruning(and removal) at competitive prices. Free quotations and initial assessments available upon request. Fully insured and qualified staff. Testimonials are curated by Adams Professional Tree Services 'Proud to Care' and are not independently reviewed or verified. 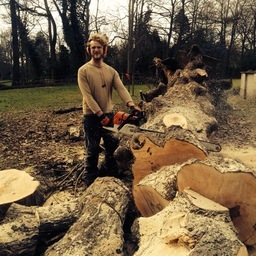 "Tom felled a10m Ash Tree for me. The tree was up against our neighbours fence and in a small garden. He was very professional and got the job done quickly with no problems. The pricing was very reasonable." "Tom and his college did an excellent job in trimming and removing trees from my garden, they were very professional and charged a reasonable price. They had cleared all the rubbish after finishing the job and only took half a day to complete." "Tom firstly surveyed a tree removal project offering his professional view on my queries and concerns.After consolation with the relevant local authorities He then attended and with his team and did exactly what we had discussed, leaving the area cleaner than when he started.On the back of the first job I asked him to survey and provide a quotation for the removal of a large tree close to dwellings this was achieved successfully with his team complete with prior approval from the local authorities and neighbours. Tom arrived each time on the date specified and did what we had agreed would be done. I have no hesitation on recommending Tom Adams and his services."